This Rural India application contains information about various Indian crops. Users can search directly by the crop names. If any searched item is not available in the database, then the application will put the item for a Google search. 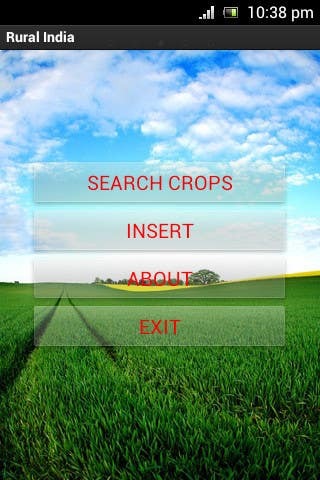 Users can also insert crop information in the database as their choice.